Happy FriYAY, marblelous! Summer is in full swing and all people have been talking about these days is how the scorching hot and dry weather here in Southern California is going to melt us faster than Olaf. I have been trying to stay nice and cool by hanging out at the beach any chance I get. I am definitely not complaining because I will use any excuse to be by the beach channeling my inner mermaid (or should I say merbabe). I have a confession to make: I am secretly convinced that I belong under the sea. Seriously, that would be the ultimate beach bum dream; however, we all know that is unrealistic and it is never going to happen. 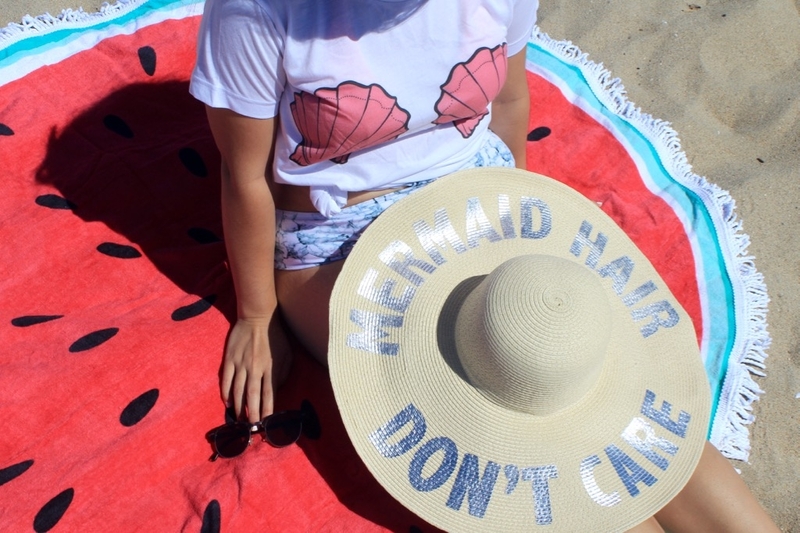 I can, however, pretend that I am living the perfect mermaid life by wearing a cute pink seashell tee and an oversized floppy straw hat with the slogan “Mermaid Hair Don’t Care” printed on it. I shall just live vicariously through my mermaid beach outfit. There is an abundance of mermaid slogan tees that are in a variety of stores right now, with slogans like “Mermaid Off Duty,” “Mermaids Have More Fun,” and “Mermaid Hair and Salty Air.” But some of these tees are not exactly cheap, which is why I am so excited to share with you that my pink seashell tee is currently on sale for $13.90 at Rad. Rad was kind enough to give me a 20% off discount code for all my marblelous merbabes. 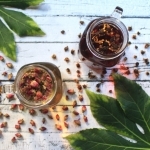 You can use the code PETITE20 at checkout for 20% off ANYTHING in their store, including sale items. This means that the pink seashell tee is only $11.12 with the code PETITE20! 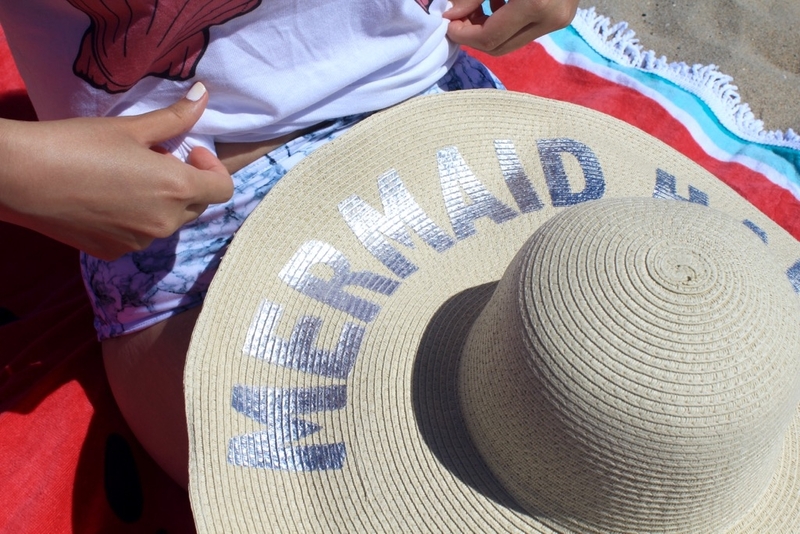 Yay, now everyone can pretend to be a mermaid! How are you staying cool this summer? Disclosure: I was not compensated for this post; however, I did receive this pink seashell tee from Rad for my review. All opinions are my own and not influenced in any way. I love love love this look for the beach! It’s so cute! 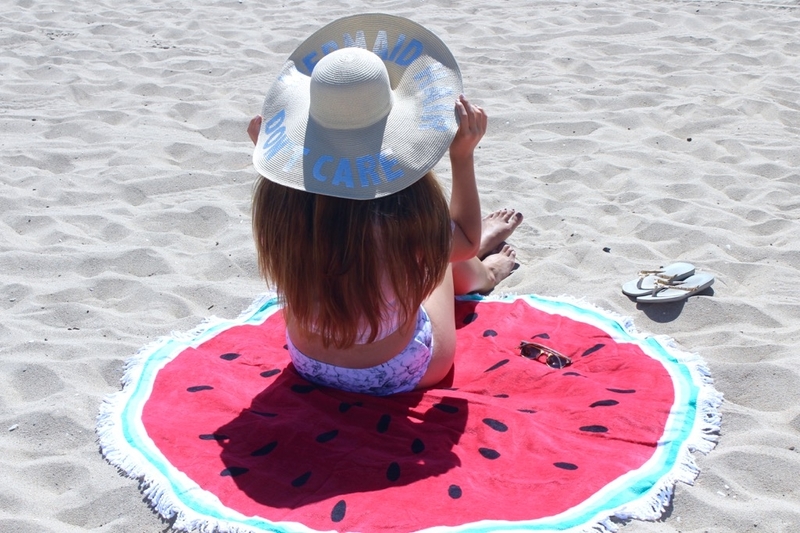 And that beach blanket!! I’m dying over all of it! That towel is seriously so freaking cute! I wanna be a mermaid too!! Haha!!! Love your towel btw. You look super cute!!! Everyone deserves to be a mermaid!! <3 Thanks, Jaime! I’ve been wanting one of these towels so bad! LOVE the Olaf reference, and you would make a b-e-a-utiful mermaid! What a great deal on that top! And that hat is perfect for this:)! Such a happy post, love it! I’m obsessed with this entire look! I NEED that hat in my life and that T shirt is so stinking cute! That tee is so fun! And I love that towel! This is SO FUN!!! I am thinking that hat is a MUST for next summer!! Oh my goodness the tee shirt is just so fun! So love this hat and the top! You look so cute, babe! Ugh! I love those towels! It’s about time I get myself one. And you do have mermaid hair, so jealous!